Despite how well you brush and floss at home, patients will still need the ongoing support of a trusted dentist and team to maintain excellent oral health with confidence. Dr. Canzoneri will see the whole family for these important appointments, and his care approach is always gentle and high in quality. Preventive care is not only meant to identify dental damage and concerns at their earliest stages, but also help patients have better chances of avoiding them entirely during every stage of life. Contact our Arcadia, CA location today to schedule a first appointment, or if you have any questions. Comprehensive checkups and cleanings should be scheduled every six months on average. If the patient is struggling with periodontal disease, excessive sensitivity to tooth decay, or other factors that may need more constant attention, Dr. Canzoneri will recommend visiting every 3-4 months instead for optimal results. During these visits, you will receive an in-depth examination of your current oral health so that we can determine if there is any damage, decay, or dysfunction that needs addressing. 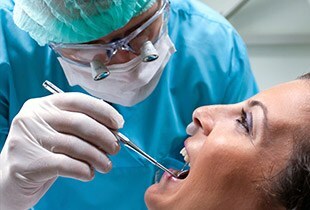 Dr. Canzoneri will review each tooth, the gum tissue, any existing restorative work, your bite, your TMJ joints, and more in order to form a full picture. X-rays will reveal any information that is well-hidden under the surface and out of the naked eye’s view. Professional hygiene is also highly recommended because of the ongoing threat of plaque. Plaque is a sticky substance that’s filled with bacteria and is constantly forming within the mouth as patients eat and drink. While plaque can be easily removed with brushing and flossing, missed areas will mature into decay-causing tartar. Tartar cannot be removed through normal methods – that’s where our talented hygienists come in. They’ll thoroughly clean the teeth and gums with specialized tools in order to remove plaque and tartar, as well as any minor enamel stains. Positive relationships with oral healthcare and the dentist’s office can start very early in life, and our team would love to make an excellent first impression on your son or daughter. We strongly recommend that parents bring their children in for a first appointment by the age of three here in Arcadia. This visit will be a short and easy one, as Dr. Canzoneri will just want to provide a gentle examination of their mouth and existing teeth, looking for any signs of decay, injury, or developmental abnormalities. Our team can also provide parents with plenty of detailed instructions on how to help young patients practice oral hygiene at home. 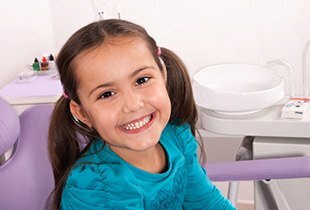 As your son or daughter grows, their care at our practice will evolve as well to include more extensive checkups, cleanings, fillings, and more. Our goal is to help them always feel comfortable and at ease. Oral cancer is a serious health problem that claims thousands of lives every year, with countless cases going undiagnosed far too long to the point that recovery is no longer possible. Here in Arcadia, Dr. Canzoneri prioritizes your safety and will screen for oral cancer at every regular checkup. If any suspicious symptoms (such as slow-healing sores or red/white spots in the oral tissue), a biopsy can be arranged to determine a diagnosis.